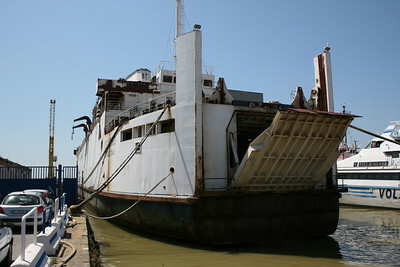 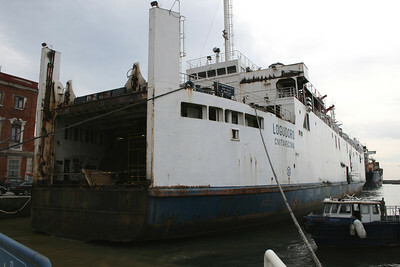 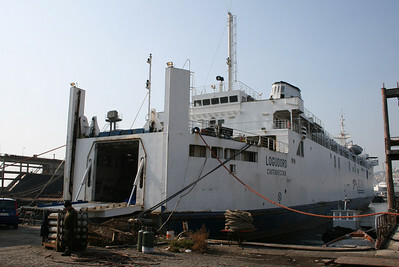 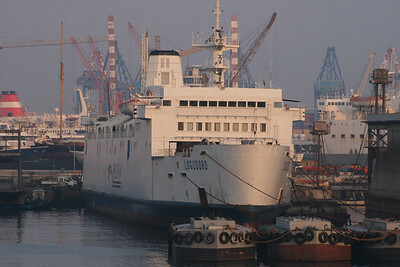 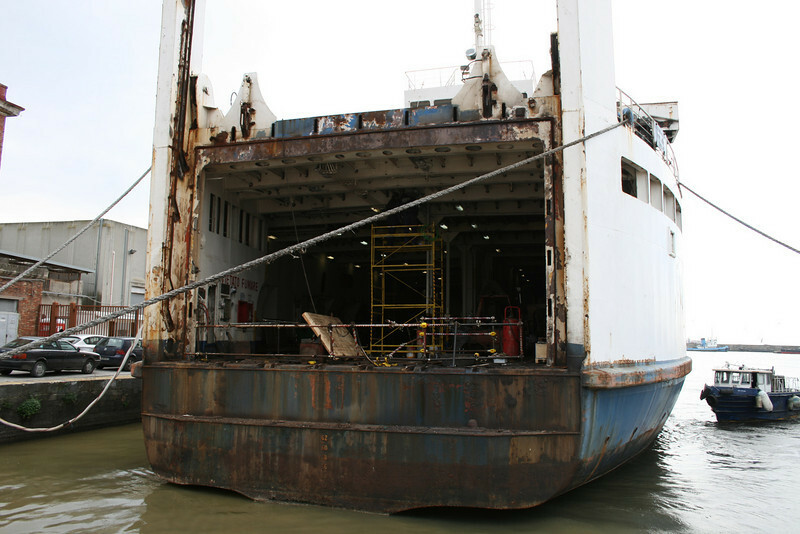 2011 - Work continues on trainferry LOGUDORO in Napoli. 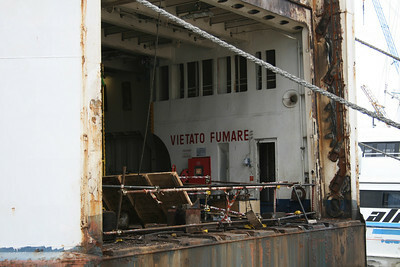 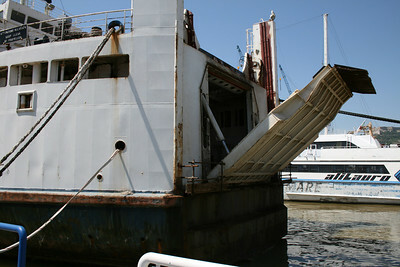 2011 - Works on trainferry LOGUDORO in Napoli. 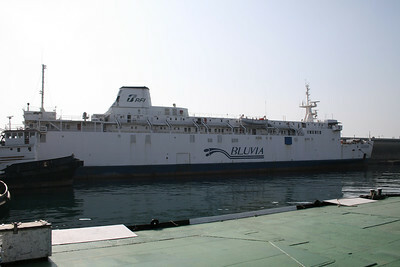 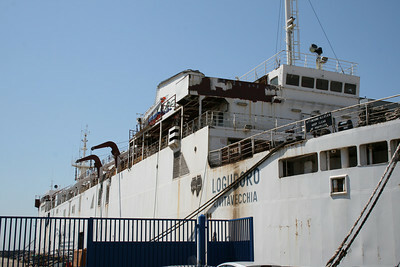 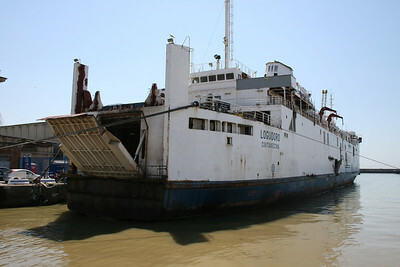 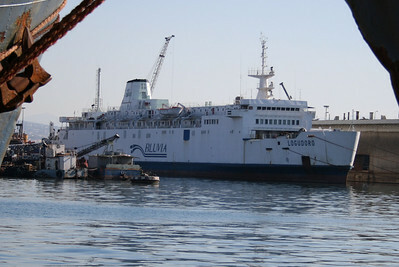 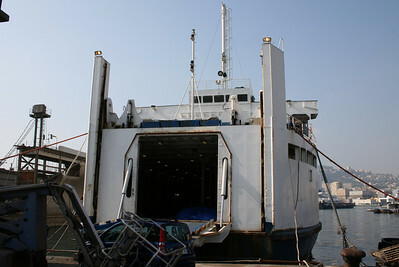 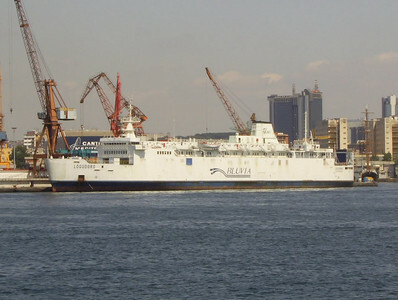 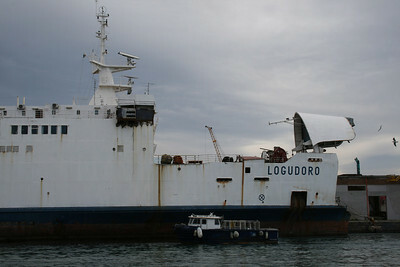 2009 - Trainferry LOGUDORO laid up in Napoli. 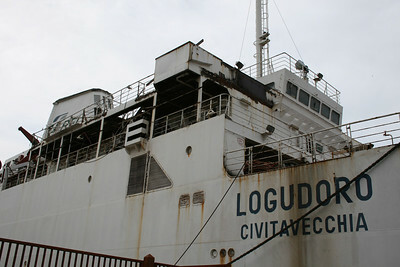 2008 - Trainferry LOGUDORO laid up in Napoli. 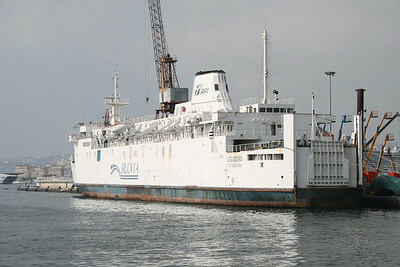 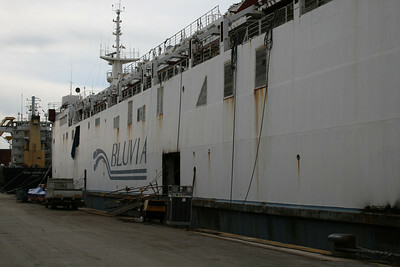 2007 - Trainferry LOGUDORO laid up in Napoli.